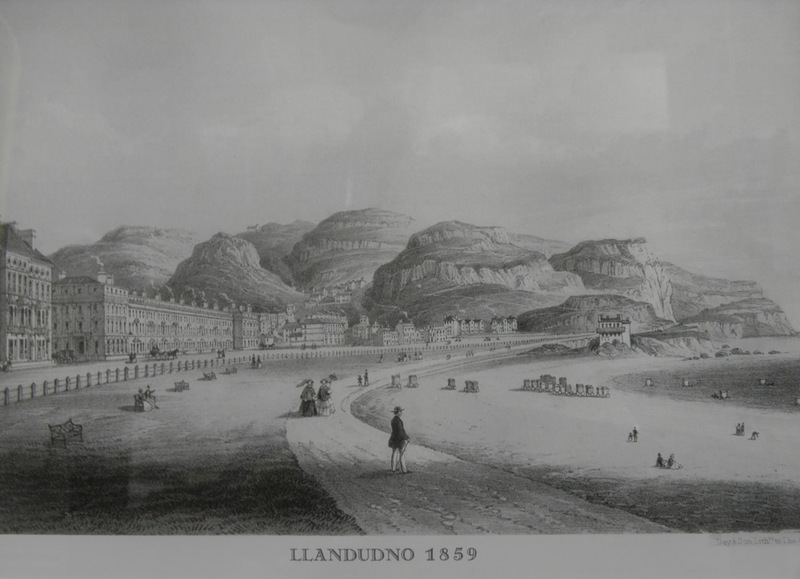 It was the 1840s that witnessed the beginning of the transformation of Llandudno from a remote village to an elegant seaside resort. The Enclosure Act for the parishes of Llandudno, Llanrhos and Llangwstenin (dated 12th July 1843) paved the way for the transition by consolidating what was once common land into the possession of a few private owners. The Act was introduced to Parliament by Edward Mostyn Lloyd-Mostyn (1795-1884), the future 2nd Baron and by far the largest landholder in the area. Nevertheless, it is clear that he anticipated great gains from the Act. The work of the resultant commission was complete by 1848 and in the parish of Llandudno he was granted 832 out of the 955 acres of allotments distributed by the commissioner. Thus, yet more land was added to the already expansive Gloddaith estate. The question the Mostyn family now faced was what to do with it? The answer was provided by Owen Williams of the Liverpool firm of Williams and Jones. 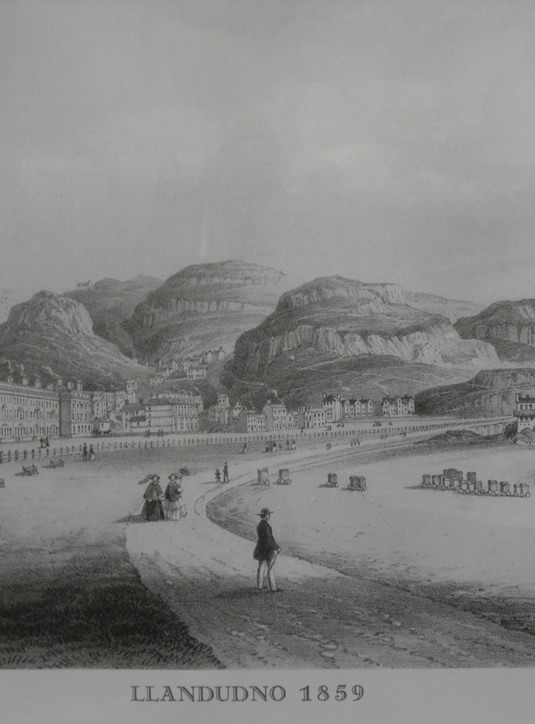 On arriving at Llandudno beach on a picturesque summer’s day in 1846 he apparently exclaimed: ‘what a beautiful place and what a fine watering place it would make’. Though the Mostyn family was also flirting with the idea of creating Llandudno into the major harbour site for crossings to Ireland, the development of their lands into a fashionable seaside resort also appealed and they requested that Owen Williams produce a plan and report outlining his ideas. The proposals were accepted in full, without alteration with the Edward Mostyn Lloyd-Mostyn giving instructions to ‘proceed with the work of bringing Llandudno into existence’.